Rachel Parker’s research focuses on comparative business systems, the institutional foundations of innovation and industrial competitiveness and power relations in global production networks. Her work has contributed to understandings of the way in which Australian and international public policy programs affect firm and industry behaviour and therefore industrial development and transformation. Recent projects focus on power relations in global value chains and how they affect the ability of Australian firms to negotiate value for their products and services and to compete in global markets. 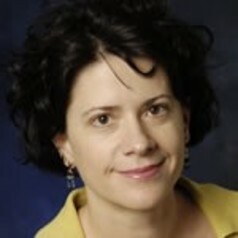 Rachel Parker’s publications appear in leading international journals in the field including Regional Studies, Industrial and Corporate Change, Environment and Planning A, Organization Studies, Political Studies, Entrepreneurship Theory and Practice and Work, Employment and Society. Her research has been funded through seven ARC Grants (including 3 ARC Discovery Grants as lead Chief Investigator). Rachel Parker has worked as a consultant/advisor on knowledge transfer activities for several public organisations and was a member of the economic development panel of the ATN/GO8 research impact trial. She has played a role in university research policy as Assistant Dean (Research) QUT Business School and previously as Dean Research Development, Division Research and Commercialisation at QUT. In her current role she contributes to the coordination of QUTs research strategy in response to a changing research policy environment.